MISSION VIEJO, CA–( May 21, 2015) – CynergisTek, Inc. (OTCQB: AUXO) (“CynergisTek” or “the Company”), a leading provider of Managed Print Services (MPS) and IT Security for the healthcare industry, today announced that Joe Flynn, Chief Executive Officer, will present at the LD Micro Invitational Conference on Tuesday, June 2nd, 2015 at 1:00PM PST / 4:00 PM EST. CynergisTek’s CEO Joe Flynn will be available for one-on-one meetings on the day of the presentation. Registration is mandatory. For more information about the conference or to schedule a one-on-one meeting, please contact the conference coordinator. The LD Micro Conference is a three-day conference organized by LD Micro, an internet-based newsletter that provides self-directed investors information on selected public companies that in the opinion of LD Micro have great investment potential. More than two hundred institutions focused on small and micro-cap stocks are expected to attend. For more information, please visit the conference website at http://www.ldmicro.com/. CynergisTek serves a national portfolio of over 220 hospital campuses and manages over 1.5 billion documents annually from over 90,000 devices supporting over 280,000 caregivers. 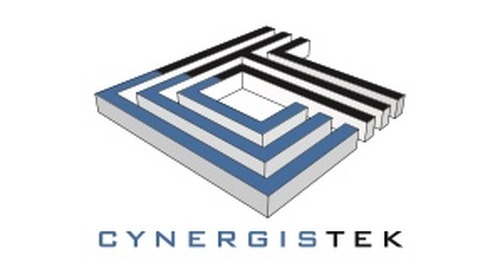 CynergisTek’s Managed Print Services’ business model is vendor neutral, provides full-time, on-site customer service and technical experts and is exclusive to the healthcare industry. Through its Security Solutions Group, CynergisTek and Redspin provide an end-to-end security offering that specifically addresses hospital security challenges or when a breach has occurred. The fully comprehensive portfolio of services and technology include HIPAA security risk assessments, penetration testing, security program development, incident response and forensics, vulnerability management and remediation, and a SaaS technology solution, Delphiis IT Risk Manager to more than 135 hospitals. This complete service offering is unique to the marketplace to ensure enterprise-wide security and improve patient experience through its ability to mitigate risk and improve efficiency across the hospital or health system.